If one were to judge by the sheer number of receptors to which they are coupled, the phospholipids and their metabolites would be arguably the most important of all second messengers (Figure 1). What is so special about phospholipids and phospholipid signaling proteins? The phosphoinositides and other signal-transducing phospholipids are compartmentalized in distinct pools in the various membranes of the cell, separated by aqueous phase barriers. Most of the proteins involved are amphitropic, meaning they can exist as either membrane or soluble proteins. Reversible translocation between the cytosol and different cell membranes is a central feature of their cell biology. 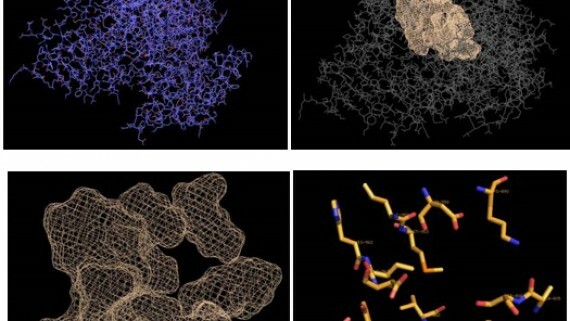 The activities of the proteins feature the full range of complexities of interfacial enzymology; their evolution reflects the unique requirements of life. A highly simplified schematic of some of the most intensively studied pathways in phosphoinositide signaling. The receptors at the top represent generic G-protein-coupled receptors and tyrosine-kinase-linked receptors. The figure is intended to emphasize that structures are now known for representatives of nearly all of the best-known players in phosphoinositide hydrolysis, phosphorylation and dephosphorylation, as well as for the key ‘receptor’ domains in their downstream effectors. The structures were generated with Spock from the following PDB codes: PLC, 1QAT; PI3K, 1QMM; PIPK, 1BO1; PTEN, 1D5R; C1 domain, 1PTR; C2 domain, 1QAT; cPLA2, 1CJY; FYVE domain, 1VFY; PH domain, 1MAI. β-Strands are green, helices magenta, metal ions blue and lipid head-groups yellow. DAG, diacylglycerol; IP3, inositol (1,4,5)-trisphosphate; PIPn, phosphatidylinositol polyphosphate. Phosphatidylinositol (PI) exists biologically in derivatives that are phosphorylated singly at the D3, D-4 and D-5 positions, and in all possible combinations . Each of these seven species has a distinct biological role in metazoan signaling networks. Their formation and interconversion depend on the action of specific phosphoinositide kinases and phosphatases. The regulation of phosphoinositide kinases has been studied intensively because of their close coupling to many cell surface receptors. Nevertheless, until several years ago, almost nothing was known about their three-dimensional structure. Phosphatidylinositol 3-kinases (PI3Ks) are key molecules in the signal transduction pathways initiated by the binding of extracellular signals to their cell surface receptors. The past decade has seen the determination of the first crystal structures for archetypal members of both major families of phosphoinositide kinases: phosphoinositide 3-kinase and 4-kinase (PI3K/PI4K), and the phosphatidylinositol phosphate kinases (PIPKs) . Another important superfamily of signal-transducing lipid kinases is responsible for phosphorylation of diacylglycerol and sphingosine. eukaryotic protein kinase superfamily (Figure 2). There are, however, some important differences in detail. For example, PI3K-γ lacks a glycine-rich loop and substitutes the Gly•ATP phosphate interaction seen in the protein kinases with a serine. The protein and lipid kinases exemplify a theme of shared architecture and mechanism in protein and lipid phosphorylation that is also seen for dephosphorylation. It is intriguing that the phosphoinositide kinases appear to have evolved from protein kinases, rather than from any of a number of structurally unrelated small-molecule kinase families. Two relevant commonalities are a role in signal transduction and activity against large substrates. Although individual phosphoinositide molecules are much smaller than proteins, the phosphoinositide kinases are active only against membrane-embedded substrates. The substrate is, from the point of view of access by the enzyme, the bilayer. Most nucleotide, sugar and other small-molecule kinases undergo domain closure, which completely sequesters their substrates. In the case of a large protein or a membrane-embedded lipid, this is not possible. Structural similarity between protein and lipid kinases and phosphatases. PDB files for the lipid kinases and phosphatases are as mentioned in captions to Figure 1, with the addition of cAMP-dependent protein kinase A (PKA) (PDB code 1APM) and dual-specificity protein phosphatase Pyst1 (PDB code 1MKP). C2 domains are colored green, active site residues and their immediate surroundings are red, catalytic domains are cyan, the inhibitory peptide bound to PKA is magenta and the remainder is yellow. specificity, but also the protein kinase activity . This finding also holds true for the PIPKs . 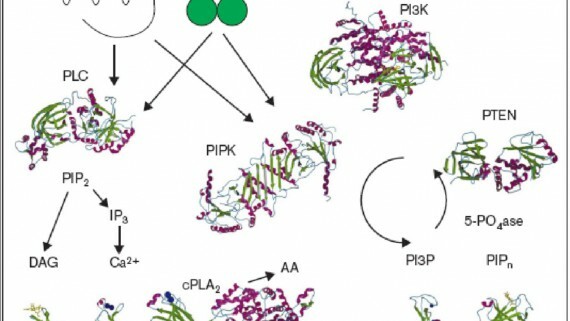 The real surprise, however, is that the PIPK activation loop is also a major determinant of subcellular localization; PIPK and PI3K use different mechanisms to interact with substrates in bilayer membranes. Both PIPK and PI3K contain an N-terminal extension to the small lobe of the catalytic domain. In PIPK, this extension forms a flattened face and, moreover, a very large platform for membrane docking . In PI3K, the similar extension is not involved in dimerization nor is it poised for a membrane interaction like that seen in PIPK. Rather, a C-terminal C2 domain, of the type II topology and the non-Ca2+-binding variety, appears to be the most important site for membrane docking. Activation of PI3K by growth factors or mitogens plays an important role in cell proliferation and apoptosis, in part by activating Akt . Increased PI3K activity leads to the recruitment of Akt to cell membrane signaling domains, its phosphorylation, and its activation. Phosphorylation of Akt at T308 or S473 correlates closely with its kinase activity. Akt can phosphorylate a variety of effectors, including those that promote cell cycle progression, inhibit apoptosis, or activate genes whose products regulate lipid and glucose metabolism, cell proliferation, and survival. Inhibitors of PI3K-like domain-containing proteins, such as LY294002, have been used in vitro and in vivo to block cell proliferation, tumor growth, and inflammation . X-ray crystallographic analysis demonstrated that the LY294002 morpholino oxygen forms a hydrogen bond with T882, thereby displacing the ATP adenine from the PI3K active site. However, LY294002—which targets multiple isoforms of PI3K, each with diverse regulatory functions (e.g., metabolism and cytokinesis)—has not been a useful therapeutic agent , perhaps because of unacceptable “side effects” resulting from inhibition of numerous critical PI3K-dependent pathways. The PI3K family of enzymes comprises eight catalytic isoforms subdivided into three main classes . The phosphoinositide 3-kinase signaling pathway controls a wide variety of cellular processes including cell death and survival, cell migration, protein synthesis, and metabolism. Aberrant PI3Kdependent signaling, mediated by Akt kinase, has been implicated in a wide range of human diseases including cancer, inflammation, autoimmunity, allergy, atherosclerosis, cardiovascular, and metabolic diseases, making this pathway a principle target for drug design and development in many R&D programs . 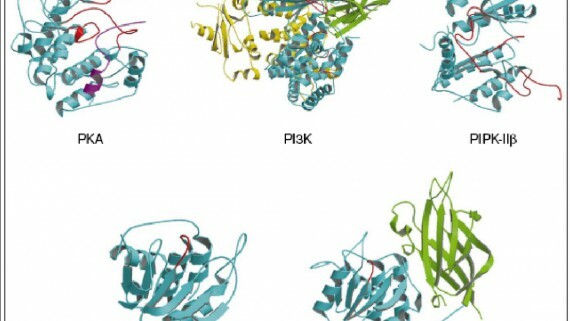 The fact that the PI3K pathway is deregulated in a large number of human diseases, and its importance for different cellular responses, makes it an attractive drug target. Cancer treatment is moving away from conventional cytotoxic drugs and towards agents that target specific proteins important to cancer development or survival. The PI3K signaling axis is an important pathway involved in myriad human malignancies, therefore inhibition of this axis is a promising therapeutic approach for many cancers. A range of genomic studies have indicated that PI3K signaling is one of the most frequently deregulated pathways in several human tumors. For example, it was shown to be deeply implicated in colorectal cancer growth and progression , breast cancer , gastric cancer , non-small cell lung cancer (NSCLC) , and neuroendocrine tumors . PI3K is also suggested to be involved in chemotaxis  as well as in controlling embryonic stem cell proliferation and pluripotency . A variety of genetic mutations and amplifications have been described affecting key components of this pathway, with implications not only for tumorigenesis but also for resistance to targeted agents. Pharmacological PI3K inhibitors have played a very important role in studying cellular responses involving these enzymes. Preclinical and clinical results of several PI3K and PI3K-mammalian target of rapamycin (mTOR) inhibitors in early clinical trials, as single agents and in combination with other drugs, are currently available. Emerging preclinical research has significantly advanced our understanding of the PI3K pathway and its complex downstream signaling, interactions, and crosstalk. 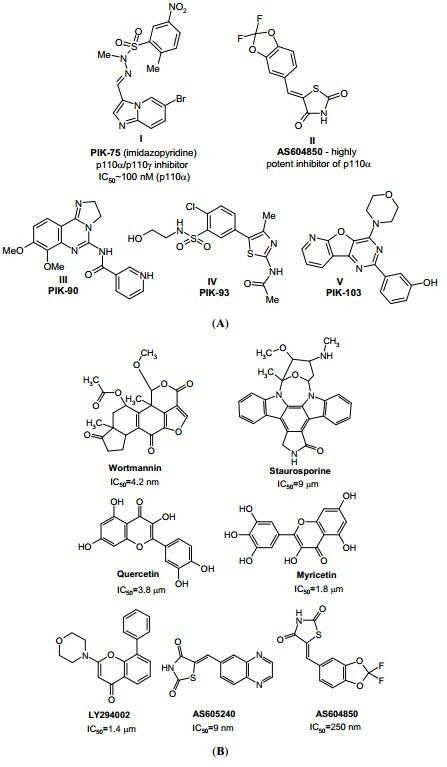 This knowledge, combined with the limited clinical anti-tumor activity of mTOR complex 1 inhibitors, has led to the development of rationally designed drugs targeting key elements of this pathway, such as pure PI3K inhibitors (both pan-PI3K and isoform-specific), dual PI3K/mTOR inhibitors, Akt inhibitors, and mTOR complexes 1 and 2 catalytic site inhibitors. In spite of the current advances, the complexity of PI3K signaling pathways, developing an effective anti-cancer therapy may be difficult. The biggest challenge in curing cancer patients with various signaling pathway abnormalities is to target multiple components of different signal transduction pathways with mechanism-based combinatorial treatments. 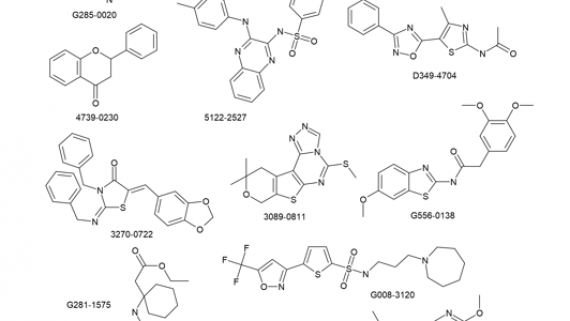 To date, more than 1,800 PI3K inhibitors have been discovered. These include both the protein-based agents and a wide range of small-molecule compounds (Fig. 3). At least 30 molecules are currently being evaluated in advanced clinical trials or already launched in pharmaceutical market. For instance, it was shown that all PI3Kα inhibitors potently blocked insulin-stimulated phosphorylation of Akt in adipocytes and myotubes. It was also observed for multi-targeted inhibitors such as PIK-90 and PI103 (which inhibit PI3Kα most potently but also target p110β at concentrations 10 to 30-fold higher) and PIK-75 (Fig. 3(A), I), which inhibits PI3Kα >200-fold more potently than p110β. PI3Kα inhibitors also blocked activation of the mTORC1 pathway as measured by phosphorylation of p70S6K and its target, rpS6. Moreover, it was evidently suggested that compounds inhibited p110γ can be targeted against PI3Kα and vice versa, these include: PI3Kα inhibitors PIK-90, PIK-93, and PI-103 (Fig. 3(A), III-V). As communicated by Knight et al. the pairs p110β/p110γ and p110α/p110γ can be described as pharmalogs in recognition of this SAR homology. Authors suggested that it may be more challenging to find inhibitors with high selectivity between these targets. Consistent with this prediction, the recently described p110γ inhibitor AS604850 (Fig. 3, II) has been reported to inhibit PI3Kα more potently than p110β or p110γ . Although there is relatively poor information about the active binding site of PI3Kα kinase, based on the Ras binding to PI3Kα it was recently shown that residue in PI3Kα at the position equivalent to PI3Kγ Val223 is also a Val (Val193). This suggests that in PI3Kα another residue in the vicinity of Val193 interacts with Ras Glu37. One candidate for such a residue is Lys206 of PI3Kα. Neither PI3Kγ nor PI3Kβ have a basic residue at the equivalent position. In PI3Kα and PI3Kγ, a bulky residue (Tyr207 and Phe203, respectively) as well as Tyr40 (PI3Kα) are key elements in the binding pocket. Based on these observations we suggested that at least three residues are the critical for small molecule binding to PI3Kα kinase, these include: Val193, Lys206 and Lys207 (Fig. 4, B). Based on the crystal structures of the reference compounds in the molecular complexes with PI3Kγ kinase the principal amino acid residues were tentatively identified (Table 1, Figs. 5-7). Amino acids reported to be significant in ATP and small molecule binding with PI3Kγ kinase * the critical residues are shown in bold. 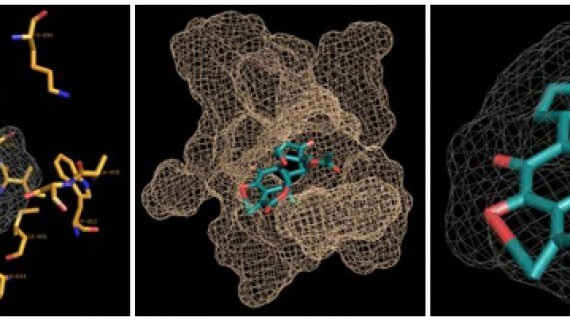 Wortmannin docked into the active binding site of PI3Kγ kinase and developed “protomol” (“fashion” of molecule located in the active binding site of protein). All reference structures shown in Fig. 3(B) were successfully docked into the active binding site of PI3Kγ kinase. 1. Unique morphing and funneling procedures in designing novel potential PI3K ligands with high IP value. We apply CDL’s proprietary ChemosoftTM software and commercially available solutions from Accelrys, MOE, Daylight and other platforms. 2. 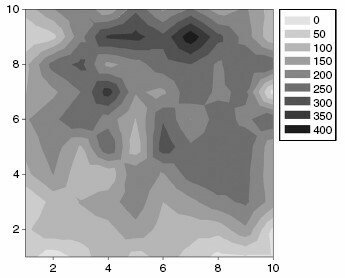 Neural Network tools for target-library profiling, in particular Self-organizing Kohonen Maps, performed in SmartMining Software. 3. 3D-molecular docking approach to focused library design. 4. 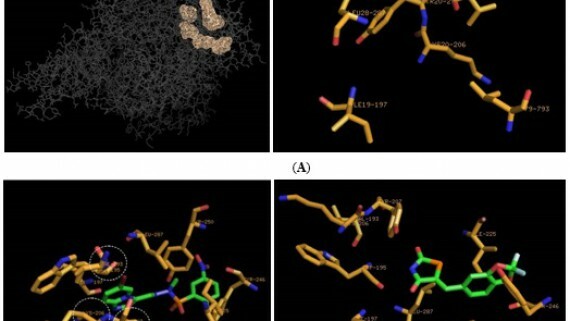 Computational-based `in silico` ADME/Tox assessment for novel compounds includes prediction of human CYP P450-mediated metabolism and toxicity as well as many pharmacokinetic parameters, such as Brain-Blood Barrier (BBB) permeability, Human Intestinal Absorption (HIA), Plasma Protein binding (PPB), Plasma half-life time (T1/2), Volume of distribution in human plasma (Vd), etc. 2. Library activity validation via bioscreening; SAR is implemented in the next library generation. 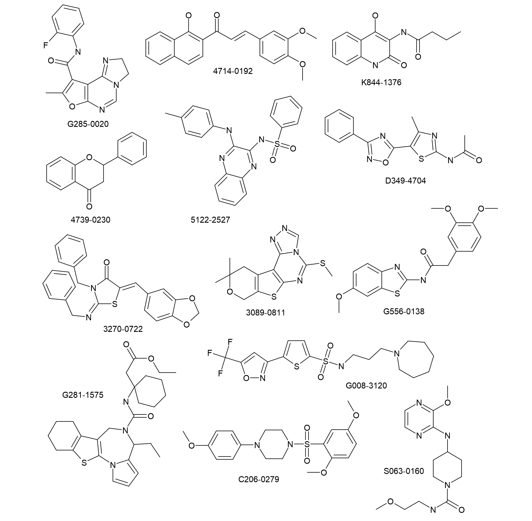 (1)	The small-molecular ligands for PI3K (more than 1,500 compounds) are compiled into a unique knowledge base (reference ligand space). Among these compounds, several agents are currently being evaluated in advanced clinical trials or already launched in market. The knowledge base has been analyzed for the pharmacophore hypotheses (not shown here) as well as particular bioisosteric rules used in the subsequent morphing procedures. 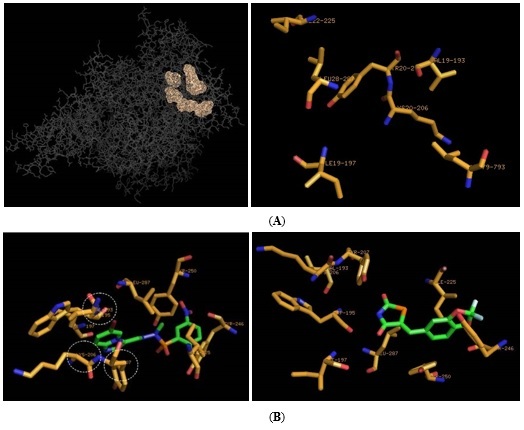 The reference ligand space is used as a source for searching novel chemotypes via a variety of structure morphing procedures: bioisosteric, pharmacophore, 2D and 3D similarity. A series of consecutive funneling procedures are applied to enhance the target-specific relevance of novel compounds. During this step, we address the compound’s lead-likeness (enforcing partial Rule of 3 compliance), the availability of unique R-groups, the pre-synthetic analysis of privileged templates, the IP potential, the feasibility of high-throughput chemistry. The resulting database includes more than 200,000 “high-score” compounds from the ChemDiv store. (2)	At the second stage of our PI3K-targeted library design, we have collected a 22,000-compound database of known drugs and compounds entered into preclinical or clinical trials; their structures and assignments were mainly obtained from Prous Integrity Database . Each compound in this database has been characterized by a defined profile of target-specific activity, focused against 1 of more than 100 different protein targets. 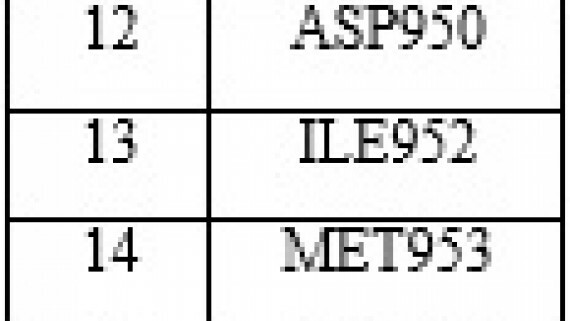 The database was filtered based on MW (not more than 800). 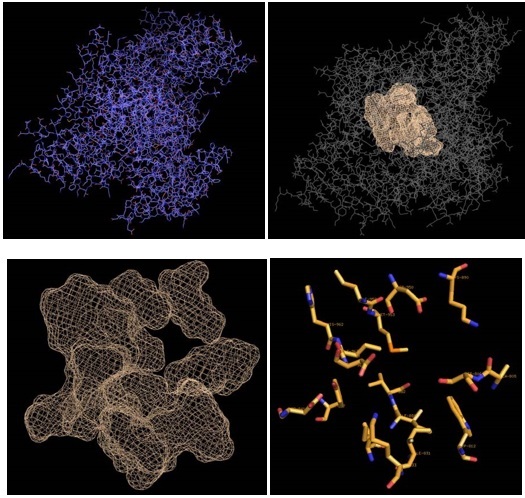 Molecular features encoding the relevant physicochemical and topological properties of compounds were calculated from 2D molecular representations and selected by PCA. These molecular descriptors encode the most significant molecular features, such as molecular size, lipophilicity, H-binding capacity, flexibility, and molecular topology (see below). Taken in combination, they define both pharmacokinetic and pharmacodynamic behavior of compounds and are effective for property-based classification of target-specific groups of active agents. However, it should be noted that for each particular target-specific activity group, another, more optimal set of descriptors can be found, which provides better classification ability. 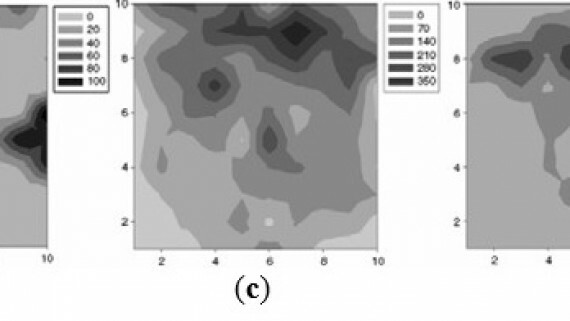 Self-organizing Kohonen maps  belong to a class of neural networks known as competitive learning or self-organizing networks which in turn are based on unsupervised learning rule. They were originally developed to model the ability of the brain to store complex information as a reduced set of salient facts without loss of information about their interrelationships. High-dimensional data are mapped onto a two-dimensional rectangular or hexagonal lattice of neurons in such a way as to preserve the topology of the original space. This methodology has successfully been used in various medicinal chemistry applications [for review, see: 24]. 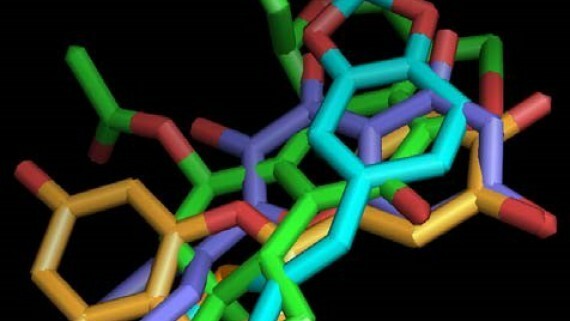 Various molecular descriptors were calculated for Kohonen modeling using SmartMining software. As a result of specific selection procedure, at the output, an experimental set consisted of 7 molecular descriptors including Zagreb index, E-state indexes for the following structural fragments: >C-, -CH2-, CH3, the number of H-bond donors, HB2 (a structural descriptor which encodes the strength of H-bond acceptors following an empirical rule) and LogP was determined. This set was then used for Kohonen map generation. A Kohonen SOM of 22,000 pharmaceutical leads and drugs, including a set of PI3K inhibitors, generated as a result of the unsupervised learning procedure is depicted in Fig. 9. 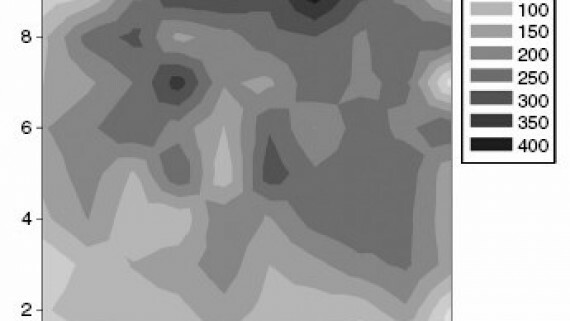 It shows that the studied compounds occupy a wide area on the map, which can be characterized as the area of drug-likeness. Distribution of various target-specific groups of ligands in the Kohonen map demonstrates that most of these groups have distinct locations in specific regions of the map (Fig. 10a-e). A possible explanation of these differences is in that, as a rule, receptors of one type share a structurally conserved ligand-binding site. The structure of this site determines molecular properties that a receptor-selective ligand should possess to properly bind the site. These properties include specific spatial, lipophilic, and H-binding parameters, and other features influencing the pharmacodynamic characteristics. Therefore, every group of active ligand molecules can be characterized by a unique combination of physicochemical parameters differentiating it from other target-specific groups of ligands. Another explanation of the observed phenomenon can be related to different pharmacokinetic requirements to drugs acting on different biotargets. The described algorithm represents an effective procedure for selection of target-focused compound subsets compatible with high throughput in silico evaluation of large virtual chemical space. discrimination function can be generated allowing selection of a series of compounds to be assayed against the target. It is important to note that focusing on physicochemical rather than structural features makes this approach complementary to any available ligand structure similarity technique. The predictive ability of the model constructed towards PI3K-active agents was approx. 76%. Therefore, this model can be satisfactorily used for targeted-library design and rational compound selection. We have used this model for rational compound selection; thus, the generated library (more than 200,000 structures form ChemDiv store) has been tested and structures have been classified in different groups in accordance to the predicted activity, in particular against PI3K. As a result, the model provides 50,000 “high score” compounds. (3)	3D-molecular docking study has also been provided for several chemotypes included in the 50,000 PI3Kbiased group. The model has been developed based on the available crystallographic data reported for different PI3K isoforms. The key aspects of this model are presented above. For the modeling we have used two computational programs, Surflex and MolSoft, ver. 3.6-1i. At the output, we have selected more than 18,000 “high score” compounds for further evaluation. (4)	We also consider the ADME/Tox issues (such as HIA and BBB-permeability, plasma protein binding, cytochrome P450 substrate and inhibition potential) and key physico-chemical properties (such as DMSO and water solubility, stability and ionization potential, etc.). The funneling procedures can be carried out by PI3K-specific neural networks, fragment and property-based models. Diversity of the final selection is optimized using proprietary algorithms. (4)	Novel PI3K-targeted library is synthesized according to the above criteria. (5)	Compounds targeted against PI3K are planned to be validated by bioscreening in collaboration with academic institutions. rate over diverse libraries, along with identification of novel active chemotypes with optimized diversity and ADME properties, has been shown in multiple studies. 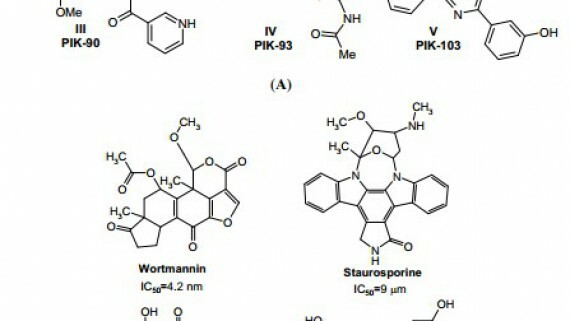 Using the computational approaches listed above we have compiled the PI3K-focused library consisted of more than 18K small molecule compounds targeted specifically against different PI3K isoforms. Representative examples of the biased compounds is shown in Fig. 11. Here, we provide rapid and efficient tools for follow-up chemistry on discovered hits, including single isomer chemistry, stereoselective synthesis, and racemic mixture separation. Targeted library is updated quarterly based on a “cache” principle. Older scaffolds/compounds are replaced by templates resulting from our in-house development (unique chemistry, literature data, computational approaches), while the overall size of the library remains the same (ca. 16,000-20,000 compounds). As a result, the library is renewed each year, proprietary compounds comprising 55-75% of the entire set. Clients are invited to participate in the template selection process prior to launch of our synthetic effort. 1 Fruman DA, Meyers RE, Cantley LC: Phosphoinositide kinases. Annu Rev Biochem 1998, 67:481-507. 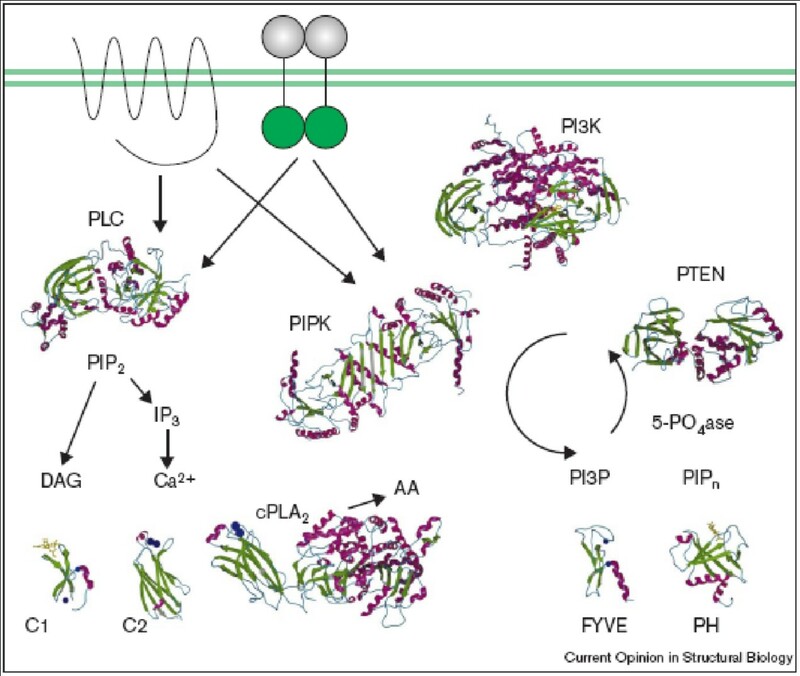 2 Anderson RA, Boronenkov IV, Doughman SD, Kunz J, Loijens JC: Phosphatidylinositol phosphate kinases, a multifaceted family of signaling enzymes. J Biol Chem 1999, 274:9907-9910. 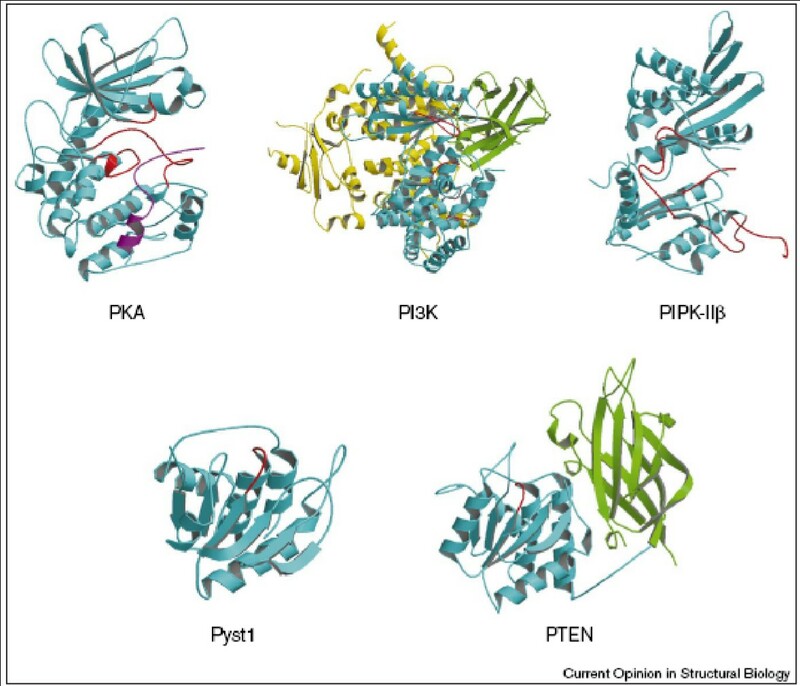 4 Walker EH, Perisic O, Ried C, Stephens L, Williams RL: Structural insights into phosphoinositide 3-kinase catalysis and signalling. Nature 1999, 402:313-320. The structure of one of the most intensively studied of all lipid kinases shows how different domains participate in membrane binding and regulation. 5 Bondeva T, Pirola L, Bulgarelli-Leva G, Rubio I, Wetzker R, Wymann MP: Bifurcation of lipid and protein kinase signals of PI3K gamma to the protein kinases PKB and MAPK. Science 1998, 282:293-296. 6 Kunz J, Wilson MP, Kisseleva M, Hurley JH, Majerus PW, Anderson RA: The activation loop of phosphatidylinositol phosphate kinases determines signaling specificity. Mol Cell 2000, 5:1-11. The activation loop of the kinase, which should perhaps now be more properly called the ‘specificity loop’, controls substrate and phosphorylation site specificity, as seen for PI3K. More surprisingly, it controls subcellular targeting as well. 11 Curr Drug Targets. 2011 Jun;12(7):1056-81. Phosphatidylinositol 3-kinase isoforms as novel drug targets. Błajecka K, Borgström A, Arcaro A. 12 Future Med Chem. 2011 Apr;3(5):549-65. Small-molecule inhibitors of the PI3K signaling network. McNamara CR, Degterev A.; Curr Drug Targets. 2011 Jun;12(7):1056-81. Phosphatidylinositol 3-kinase isoforms as novel drug targets. Błajecka K, Borgström A, Arcaro A. 13 Gastroenterology. 2011 Jul;141(1):50-61. Targeting PI3K signaling as a therapeutic approach for colorectal cancer. Zhang J, Roberts TM, Shivdasani RA. 14 Semin Oncol. 2011 Jun;38 Suppl 2:S17-24. Novel agents and future directions for refractory breast cancer. Burstein HJ. ; Oncologist. 2011;16(4):404-14. Targeting the phosphatidylinositol 3-kinase signaling pathway in breast cancer. Hernandez-Aya LF, Gonzalez-Angulo AM. 15 Expert Opin Investig Drugs. 2011 May;20(5):595-604. New targeted therapies for gastric cancer. Asaoka Y, Ikenoue T, Koike K.
16 Zhongguo Fei Ai Za Zhi. 2010 Dec;13(12):1149-54. PI3K/Akt/mTOR signaling pathway and non-small cell lung cancer. QI H, FAN L.
17 Drugs. 2011 May 7;71(7):841-52. Potential synergies for combined targeted therapy in the treatment of neuroendocrine cancer. Salazar R, Reidy-Lagunes D, Yao J. 18 Sci Signal. 2011 Apr 26;4(170):pe22. PI3K and chemotaxis: a priming issue? Afonso PV, Parent CA. 19 Biochem Soc Trans. 2011; 39(2):674-8. Controlling embryonic stem cell proliferation and pluripotency: the role of PI3K- and GSK-3-dependent signalling. 20 Zachary A. Knight, Beatriz Gonzalez, Morri E. Feldman, Eli R. Zunder, David D. Goldenberg, Olusegun Williams, Robbie Loewith, David Stokoe, Andras Balla, Balazs Toth, Tamas Balla, William A. Weiss, Roger L. Williams, and Kevan M. Shokat. 22 Prous Science, URL: http://www.prous.com. 23 Kohonen, T. (1990) The self-organizing map. Proceedings of the IEEE 78, 1464-80. 24 (a) Bauknecht, H., Zell, A., Bayer, H., Levi, P., Wagener, M., Sadowski, J., and Gasteiger, J. (1996) Locating biologically active compounds in medium-sized heterogeneous datasets by topological autocorrelation vectors: dopamine and benzodiazepine agonists J Chem Inf Comp Sci 36, 1205-13.15; (b) Anzali, S., Barnickel, G., Krug, M., Sadowski, J., Wagener, M., Gasteiger, J., and Polanski, J. (1996) The comparison of geometric and electronic properties of molecular surfaces by neural networks: application to the analysis of corticosteroid binding globulin activity of steroids J Comp-Aid Mol Des 10, 521-34: (c) Brűstle, M., Beck, B., Schindler, T., King, W., Mitchell, T., and Clark, T. (2002) Descriptors, physical properties, and druglikeness J Med Chem 45, 3345-55; (d) Rabow, A. A., Shoemaker, R. H., Sausville, E. A., and Covell, D. G. (2002) Mining the National Cancer Institute’s tumor-screening database: identification of compounds with similar cellular activities J Med Chem 45, 818-40; (e) Korolev, D., Balakin, K. V., Nikolsky, Y., Kirillov, E., Ivanenkov, Y. A., Savchuk, N. P., Ivashchenko, A. 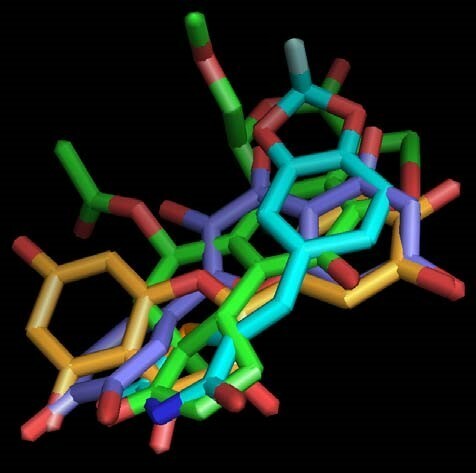 A., and Nikolskaya, T. (2003) Modeling of human cytochrome P450-mediated drug metabolism using unsupervised machine learning approach J Med Chem 46, 3631-43; (f) Savchuk, N. P. (2003) In silico ADME-Tox as part of an optimization strategy Curr Drug Disc 4, 17-22.